Make your driving style shine in the all-new 2017 Buick LaCrosse in Scottsdale. From its new face and brand-new bold lines to its enhanced interior styling and high-end tech, this savvy sedan offers plenty to appreciate. 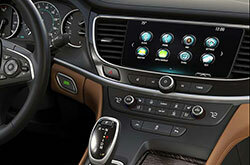 Notable enhancements for this year's model include a new touchscreen display, a revised suspension, and new technologies galore that are meant to make your life easier. Outside, you'll notice the new winged badge in the front grille, thinner headlights, and much more prominent fender arches. Get all the details on this new beauty by reading the rest of our 2017 Buick LaCrosse review below. 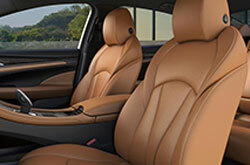 Experience luxury and refinement in the all-new LaCrosse. Featuring a new dashboard that gracefully flows into the center console, leather-wrapped seats and wood trim, this full-size family sedan exudes elegance at every corner. Other standard features include moon-white ambient lighting, dual-zone climate control, power front seats, and a premium Bose audio system. On top of these benefits, many 2017 Buick LaCrosse reviews have lauded the car's ability to offer an extremely quiet cabin. This is made possible by its acoustic fender liners, triple-sealed doors, and laminated windshield and front-door glass. Under the hood, the 2017 Buick LaCrosse in Scottsdale is motivated by a 3.6-liter V6 engine that generates 305 horsepower and 268 pound-feet of torque. Every 2017 LaCrosse comes with a brand-new eight-speed automatic transmission. 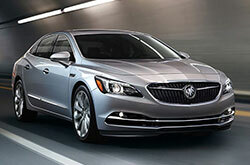 Front-wheel drive is also standard on the full-size Buick, while all-wheel drive is optional. For enhanced ride quality and improved handling, the LaCrosse also gets a new 5-link suspension. The four-door LaCrosse comes equipped with several standard airbags. LaCrosse purchasers can also opt for Forward-Collision Alert, Blind-Zone Alert, Lane-Departure Warning, and Rear Cross-Traffic Alert technologies. There's also a Teen Driver Feature that allows owners to keep tabs and set driving parameters on their younger drivers when they're behind the wheel. Experience all that the 2017 Buick LaCrosse has to offer in person by stopping by Van Buick GMC in Scottsdale for your test drive today! 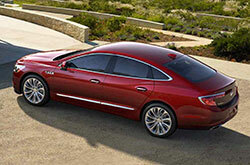 Is the Buick LaCrosse Ideal for Your Needs? When out browsing for new car models in the Phoenix metro area, you may have seen the 2017 Nissan Maxima, Toyota Avalon and the Chrysler 300, but the 2017 Buick LaCrosse is also a deserving option. You could find that with its plethora of clever features and passenger-oriented personality, it complements your unique needs. Find out if the 2017 Buick LaCrosse is perfect for you using our report and other research tools, then browse new finance incentives! 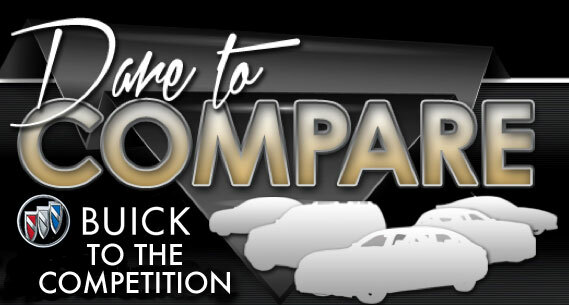 We're a local Buick auto dealership where you can find attractive factory offers - not only for the Buick LaCrosse, but also for other new and pre-owned cars. We've provided this 2017 Buick LaCrosse review because it's important to make an authoritative decision when you're selecting a car. 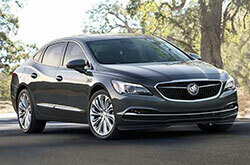 Check out new Buick LaCrosse models at Van Buick GMC - requesting a test drive online is a smooth process using our email form. Want a chance to see it before your visit? Not a problem - viewing the included video recording will give you a glance at its full exterior from all vantage points.